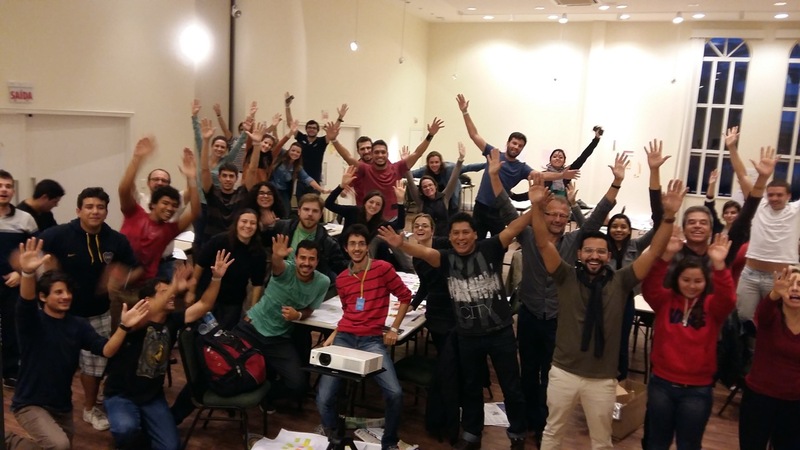 From June 12 through June 14, participants of the Social Good Brasil Lab gathered in Florianópolis for their first encounter of this four-month long social-technical accelerator program. The days were filled with hands-on activities and field research around Design Thinking. 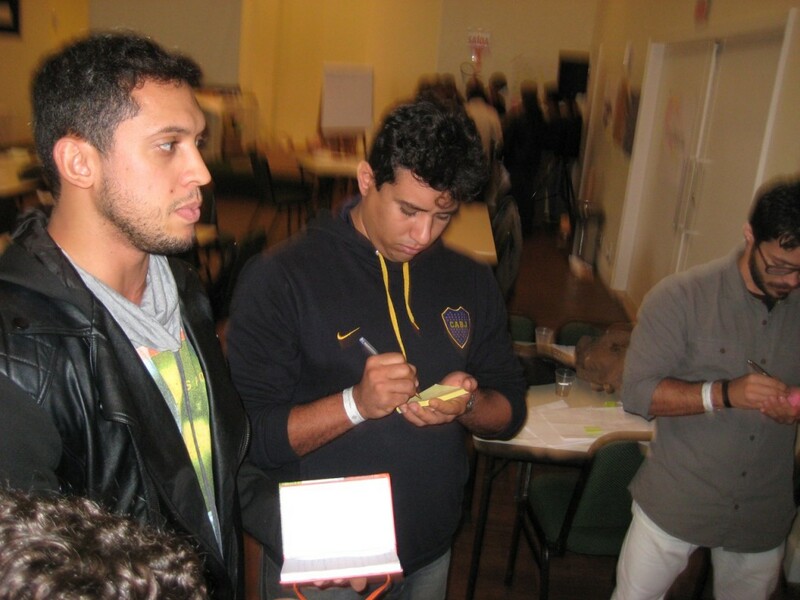 The workshop was offered by IntoActions, an Innovation Consultancy and a partner of Social Good Brasil, and facilitated by Reinhold Steinbeck and Edgard Stuber who introduced the human-centered innovation methodology to the participating social entrepreneurs. When it comes to Design Thinking, forget Descartes’ famous statement, ‘I think, therefore I am.’ Design Thinking is more ‘Doing’ than ‘Thinking’, and it was in this spirit of hands-on activities that the three-day program opened. This human-centered innovation approach is not only appropriate for social problems, but can be applied for designing solutions to any complex problem that people encounter. As a warm-up and ice-breaker activity, participants were given three objects – three popsicles, two rubber bands, and one pipe cleaner – and were asked to create ‘something meaningful’. After three minutes, they had to pass on what they created to their neighbor to their right. They were then given two additional objects and asked to build upon the design passed on to them by the neighbor to their left. They were not allowed to communicate with each other. The lesson learned from this activity is to let go of your own ideas and build upon the ideas of others. Another important lesson to be learned is that restrictions are an essential reality in the design process. Challenges and exercises that the participants worked on all have short deadlines and have to be completed with only a few resources. The point is to reduce the planning period and encourage people to move to action quickly, to use ‘making’ as a way for ‘learning’. “If you start doing, the solution appears,” concluded Amanda Busato, one of the participants. Before the participants met in Florianópolis, they had to identify the target audience and research the social challenge that they want to address through their project. They had to come prepared with a poster that visually described their project and present it as part of a three-minute pitch to the larger group. All participants were then encouraged to provide feedback throughout the three-day event using post-its, an activity the workshop facilitators referred to as ‘Facebook offline’. Collaboration in action! The afternoon was set aside to introduce the participants to the nuts and bolts of gaining empathy for the people for whom they are trying to design a solution. By triangulating interviews, observations and personal experiences, participants will be able to better understand what the users think and feel. However, conducting good interviews and eliciting rich stories, and doing good observations require practice and the suspension of your own judgement. Through an immersive activity, participants were able to experience a full cycle of the design thinking process in as short a time as possible. The challenge the participants were given was to improve the experience of shopping at a super market. In pairs, participants first went through a series of interviews, reflections and note-taking to better understand their partner’s experiences. They then tried to identify some unique needs and insights which they would then use to reframe the challenge in a more human-centered way. Finally, they would generate as many solutions as possible, get feedback from their partner and create a final prototype. The culminating task was to work in small teams and integrate various individual prototype solutions into one group solution. Let’s apply the process to real-world challenges! The second day of the workshop was dedicated to applying what the participants had learned during the first day in a real-world context – gaining empathy, reframing the challenge in a human centered way, generating lots of possible solutions and creating one prototype that would then be shared with key stakeholders. At the end of the day, representatives from the NGOs that the participants visited – senior homes, an environmental institute, and a children’s center – provided feedback to the solutions the various groups presented. Sunday morning started out with some reflections by bringing together all the different pieces – the tools, techniques and mindsets essential for creative problem-solving that the participants learned on the first day; the experiences they had in applying the process in the real world on the second day – and relating them to their own ideas and projects. “Innovation truly is a social phenomenon. Just when I thought I had seen everything, I came here, I exchanged ideas and my project was born. One of the best decisions I have ever made in my life was to sign up for the Social Good Brasil Lab,” said Vanderli Junior, another participant. This was only the beginning of the four-month long Lab. As a next step, the participants will have to refine their own project by applying what they have learned during these three days here in Florianópolis. To guarantee a rich immersive experience, the over 100 participants of the Social Good Brasil Lab 2015 were split into two groups of 50 or so each. So next weekend we will do it all over again, all in the spirit of supporting social entrepreneurs and their ideas to change the world through the use of technology. 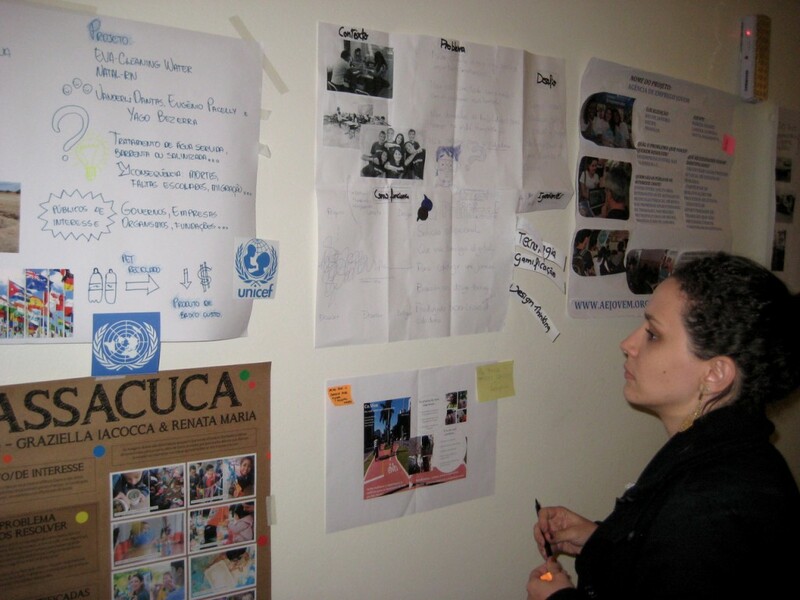 The post “I do, therefore I am” – Social Good Brasil Lab: learning to prototype, and prototyping to learn appeared first on Social Good Brasil.